We realize that flightsim enthusiasts are often keen on learning more about the real aircraft behind. 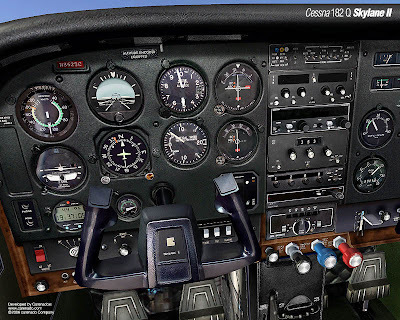 To meet this need, here is a full description of the actual Cessna 182 Q instrument panel, slightly modified by Carenado in order to make the most of available screen real estate. Wherever constrained by the need to align all panel components within a rectangle, we have attempted to suggest instrument position based on the logic of the description below.